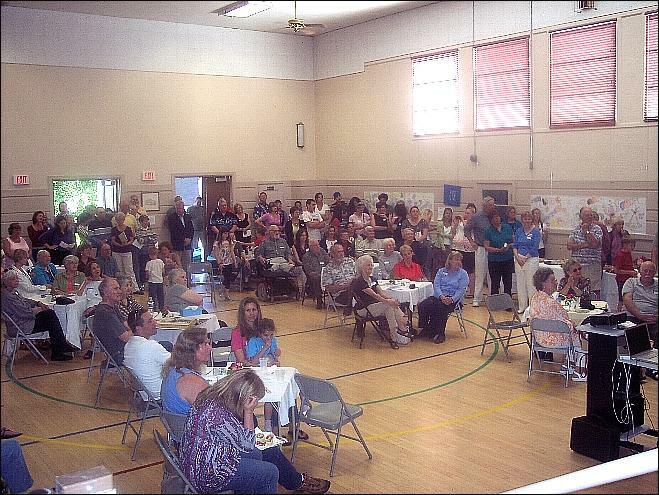 We were among those who gathered Friday for the closing event at Nevada City Elementary School. Three generations of our family attended school here. 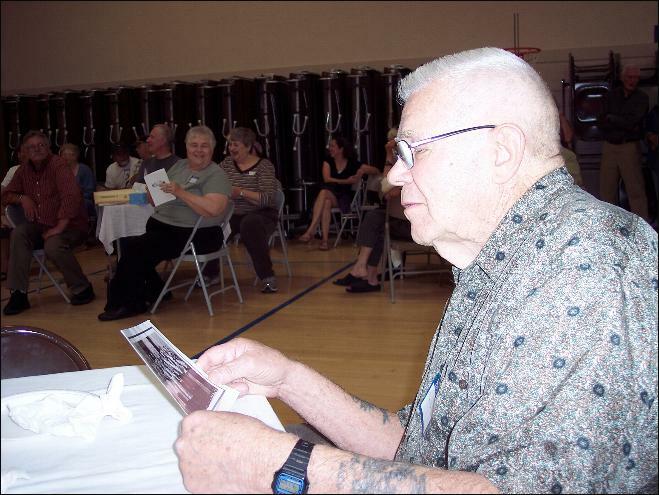 Mel attended the Washington Elementary School that was replaced by NCE's opening in 1937. (At that time they both occupied the same location, before the other was torn down). Mel entered Mrs. Flint's fourth grade in the new building that year, and I entered Mrs. Foley's mixed first-second grade the following year. 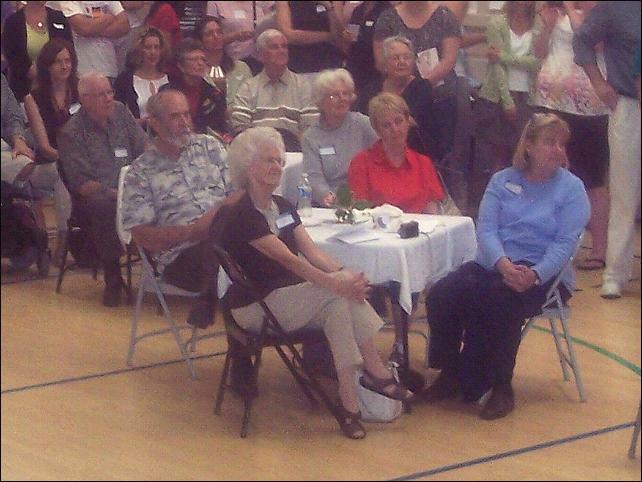 Today we enjoyed memories from some former students and teachers. 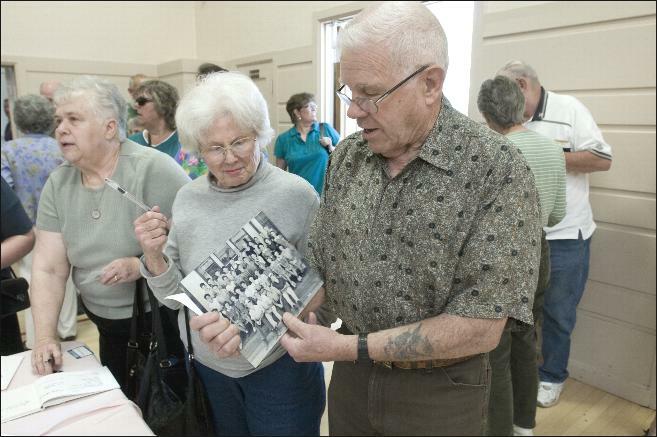 Friend Rosemary Freeland took photos and classmate Maxine Ivey Johnson represented four generations that attended this school. Mel's looking at our class picture that Maxine brought for the occasion. A committee of representatives from both Gold Run Elementary and NCE spent the spring researching options for school closures as a way to cope with the district's rapidly declining enrollment and a widening budget gap. 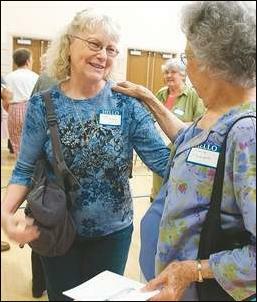 Nevada City School District board members decided in May to close NCE, since the newer Gold Run School has more space for growth, better traffic flow, is closer to the district's two other schools and costs less to run. The district and the NCE Parent Teacher Club are inviting the community for hors d'oeuvres and a chance to share memories of the school. The Washington School was built in 1868. Mel started school here. 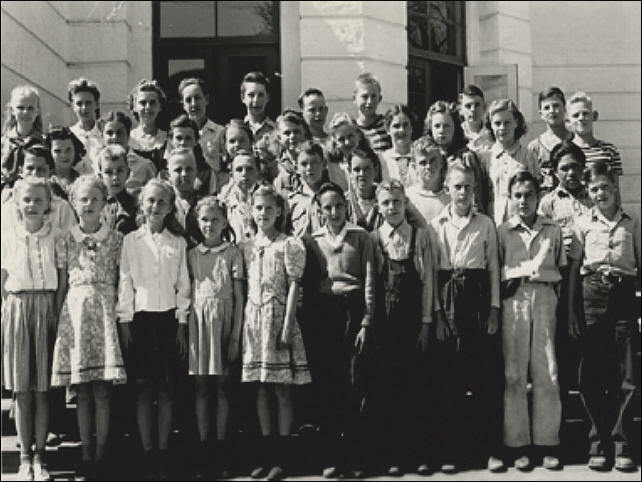 As the Victorian three-story, wooden school aged and became a safety hazard, Nevada City applied for funding through President Franklin Roosevelt's Depression-era Works Progress Administration. After city officials won the funding, they commenced building the new school in front of the old school that occupied the area where the playground is today. (Mel remembers going to school in the old school while they were building the new one). The new school was designed by renowned architect William Mooser, who also designed famous buildings such as the Ghirardelli Building, the Civic Auditorium and the Maritime Museum in San Francisco. The art deco styling, also found on the Nevada County Superior Court building and Nevada City Hall, was a modern fit for the mining town. Tom McGuire Trucking (Mel's father) hauled the gravel for both structures. 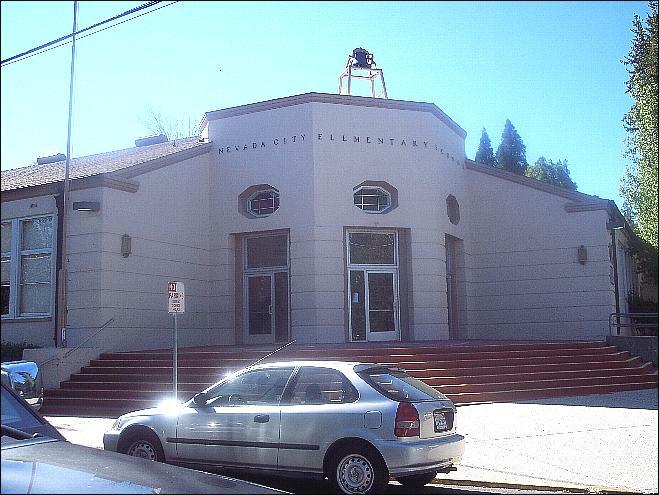 Next year, children in kindergarten through second grades will attend Gold Run, (formerly the site of the old Nevada City High School) located in the Seven Hills Business District near Deer Creek and Seven Hills schools. The NCE campus will be put up for lease. The financial problem was a difficult one, but Superintendent Roxanne Gilpatric thanked those “who have been unwavering in their support of our district. We will need your continued support during our transition into the 2010-11 school year and beyond.” The school has been a central focus in the community for those of us who have been part of generations that attended the school. This Friday has been a chance for us to say farewell and honor the memory of this wonderful school, teachers and friends we grew up with. 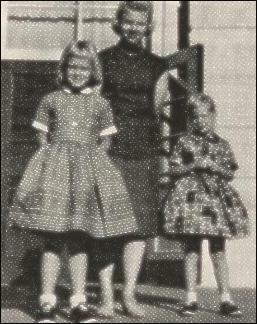 September 5, 1963 Cheryl returns to school in the third grade, and Sue (right) enters the first grade at Nevada City Elementary. 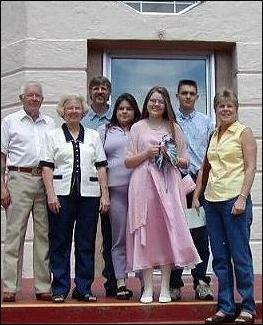 At right it's 2007 and three generations of our family stand on the steps following grand daughter Jessie's graduation from the 8th grade (NCE Charter school). Sue is on the right.